Products such as the 3D Atom Probe , require precise sample configuration. This formerly requiring painstaking manual electro-polishing. With the development of the Simplex ElectroPointer™ much of this task is completed by automation under computer control. 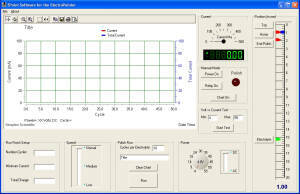 Integration of a Video Microscope and Windows control charts allow easy monitoring of the polishing progress. New High Magnification product includes manual polish capabilities.